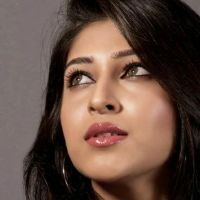 Check out the most updated and latest information about Sonarika Bhadoria's on the Internet.We have 22 videos of Sonarika Bhadoria including interviews, events, or public appearances.Sonarika Bhadoria has over 356 Fans registered on India-Forums.com. We have 138 Television News articles related to Sonarika Bhadoria.Do share your criticism, comments and feedback for the Actor on Sonarika Bhadoria's comments page. We have over 43 Photos of Sonarika Bhadoria to view and download including Sonarika Bhadoria's Wallpapers. Sonarika Bhadoria looking ravishing as Netra in Ishq Mein Marjawan. Loving you a lot as Anarkali my dear Sonarika Bhadoria. You are so beautiful Sonarika Bhadoria. Sonarika Bhadoria, Loving u as Mrinal !!! Sonarika looks so beautiful and perfect as Mrinalvati in the show! Anirudh Pathak sir had also said that no one can play a warrior princess better than Sonarika. Really love her as Mrinal and also her chemistry with Ashish is so beautiful! !